2013 was a great year for our family and it was a great year for Ben. Below are some of the highlights from emails we’ve sent throughout the year! Ben walked a mile for the first time at the UCP Race to Empower in May. We were so thrilled with this accomplishment we made a video about it! 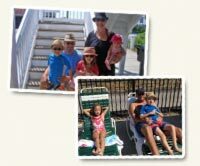 We had a great vacation in Myrtle Beach and spent a lot of time at the pool this summer. Ben’s progress allowed our family to do normal family things. 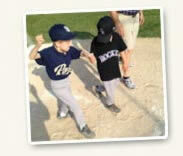 Ben played BASEBALL in a league with other special needs kids. In one of the more memorable moments a young boy with Down Syndrome named James recognized Ben and helped walk Ben across home plate. Continuing his great progress, Ben walked a MILE and a HALF at the Cleveland Triathlon in August and made the news again. Friends, family and supporters gathered in Youngstown, Cleveland and Columbus at fundraisers to support United Cerebral Palsy. Together we raised over $40,000 this year to support children like Ben reaching their full potential. Our family thanks you all for your continued generosity, support and friendship! In October we went to DISNEY! Ben walked around our hotel room like he OWNED it. 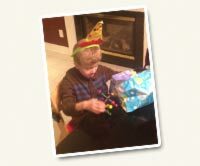 In November, Ben celebrated his 10th birthday. Happy Birthday Ben! Thank you again for your support and best wishes on a Happy New Year for you and your family. Make a donation to Team Benjamin and support United Cerebral Palsy of Greater Cleveland. The mission of United Cerebral Palsy is to empower children and adults with disabilities to advance their independence, productivity and inclusion in the community.